There are four fundamental principles that define all models of Bell & Ross: readability, functionality, accuracy and reliability. Principles undoubtedly respond to what is expected of an “instrument”. 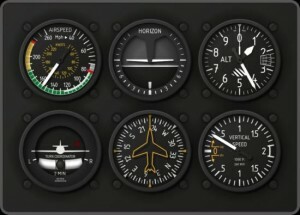 There are few signature models that are a reproduction of some of the flight instruments to be found in any airplane cockpit, all framed AVIATION BR01 collection. 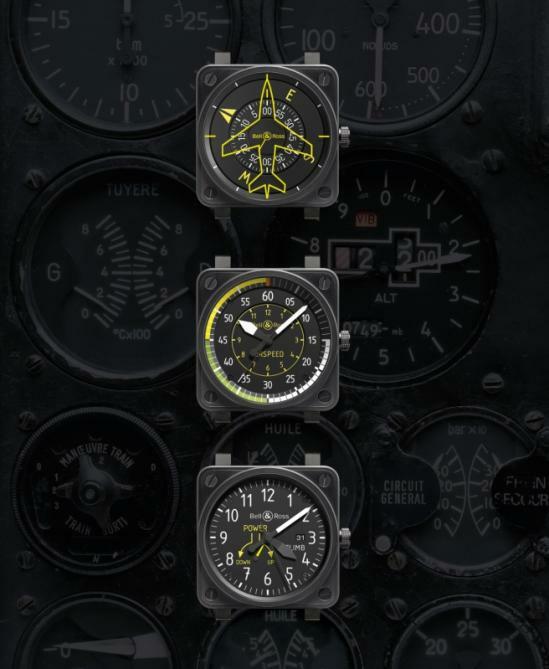 Compass was introduced in 2010, in 2011 the Radar, in 2012 the family expanded with three more: the Horizon, Altimeter and Turn Coordinator. 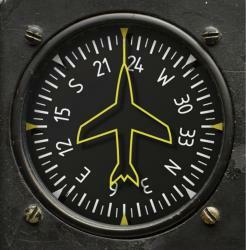 Head Indicator: the gyro compass or heading indicator, heading indicator, is an indispensable instrument for piloting. Indicates the path that the aircraft and is used in both manual and automatic flight. Airspeed: or anemometer is a speedometer. It measures the speed at which an aircraft moves in the air and fly it in a controlled manner when no visibility. Climb: barometer or vertical speed indicator, climb, allows the pilot to know, at all times, if the plane is ascending, descending or flying level. This instrument is based on atmospheric pressure and is graduated in hundreds of feet per minute. The dial has three discs, one for each timestamp. The exterior, which resembles a compass indications corresponds to hours. The north has been replaced by a double triangle indicates the time on the markings inside bezel. The next disc corresponds to the minute in which the minute numerals are printed minute reading time is done based on the number to twelve hours. Finally in the central portion a disk without any graduation, but with a second rate to indicate to us. To make full mimicry with instrument flight in the crystal is recorded in yellow silhouette of an airplane as in the original. Besides carbon black finish of the box, like a panel of flight is involved, makes reading in contrast to the yellow. The weight of each disc is 30 vece than a needle, which has required ultra lightweight design and manufacture to reduce neither the reserve or to affect the normal operation of the watch discs. Another “handicap” to overcome, and partly contrary to the above, is that the discs must be rigid enough not to bend, suffer deformities and avoid any friction. Assembly is extremely complex and requires a great practice for setting everything perfectly. Less sophisticated than the previous construction, the BR01 AIRSPEED is a reflection of the instrument that inspired it. In this case the designers have captured the visual characteristics of the anemometer to create a highly readable clock. To improve both reading and symbiosis with the original reading times on the inside of the sphere, just above your needle. The minutes are read outside of the area and are overwhelmed by the corresponding needle. The second indicator is a thin needle that also runs along the outer circle of the sphere. The colors of the instrument board indicate roughly from green to Marillo critical values are also represented on the clock and indicate areas for each quarter hour. The graphics between the onboard instrument and clock serves to introduce two additional information on the usual hours, minutes and seconds. Just an indication of whether it is speed up or down, helps embed a needle to bring the package will run with the same nomenclature. Complementing the BR01 CLIMB incorporates indication of the month through an opening in the located three hours. Another detail of the aesthetic similarity is that the hour hand is shaded in black so only the needle is white minutes. The hands and numerals are coated schedules luminescent material in contrast with the area to improve readability. The three models are presented in a limited edition of 999 pieces. The box has a size of 46 mm, is made of steel and have a black PVD finish. The tightness is guaranteed to 100 meters crown in all models is rosacada. The crystal is sapphire with anti-reflective treatment. The Heading and Airspeed Indicator is equipped with an ETA 2892 caliber, while the Climb moves through an ETA 2897.